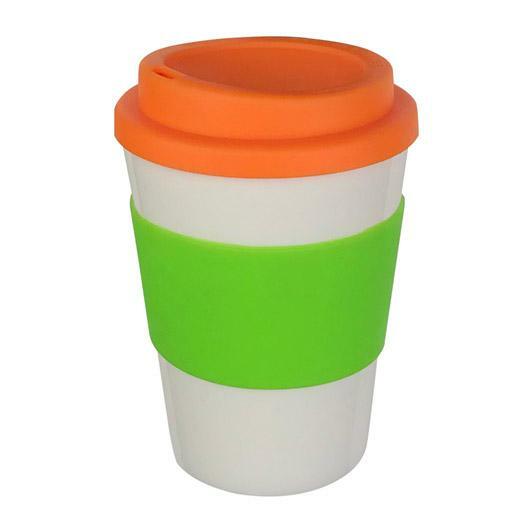 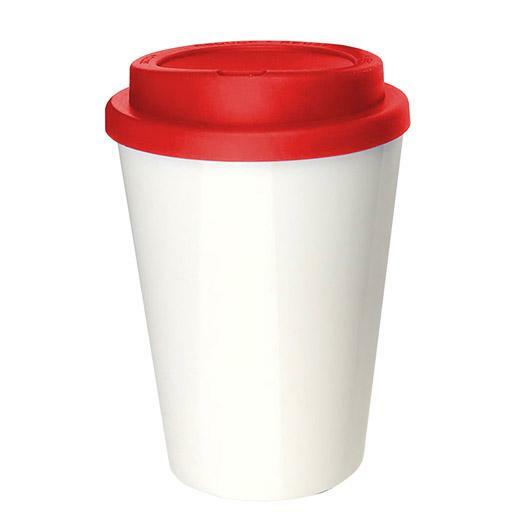 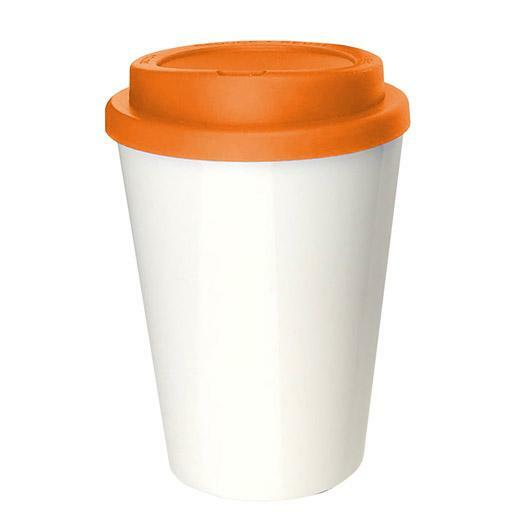 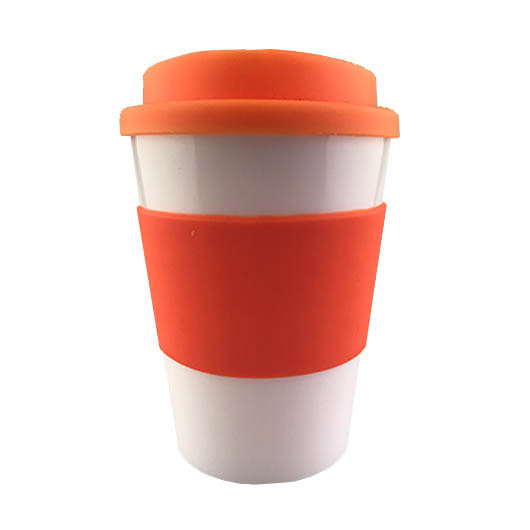 An eye-catching re-usable coffee cup with double wall build and screw top lid. 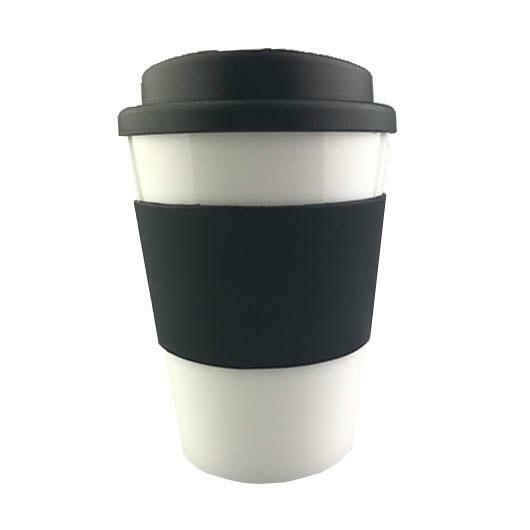 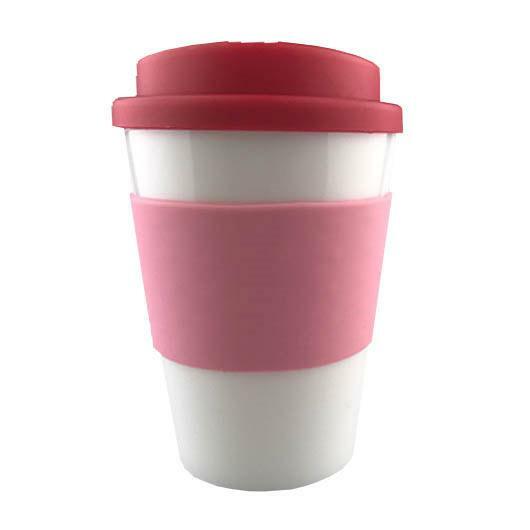 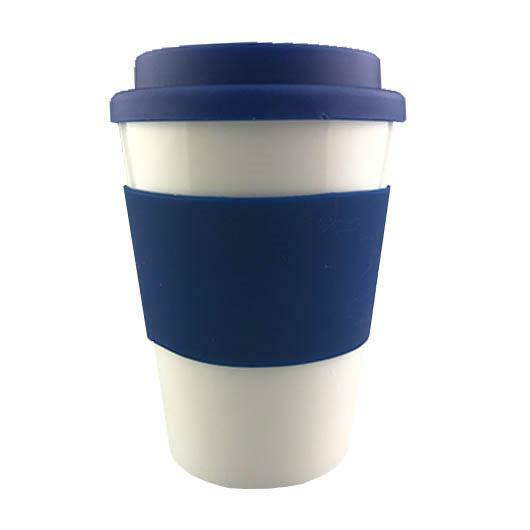 These BPA free re-usable coffee cups feature a double wall build that's strong, durable and designed to keep drinks hot for longer. 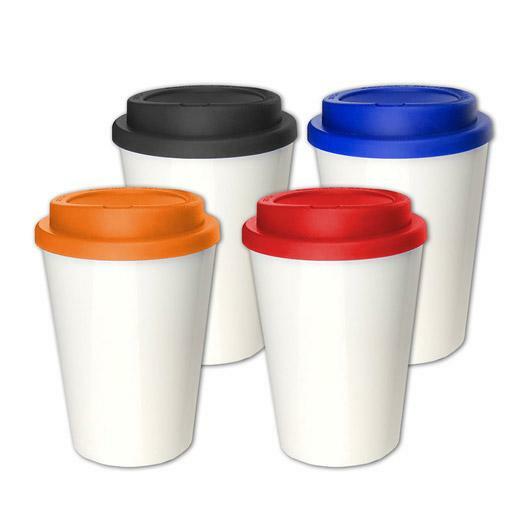 They have a capacity of 354mL, are both dishwasher and microwave safe and feature a screw top lid that is leak tight. 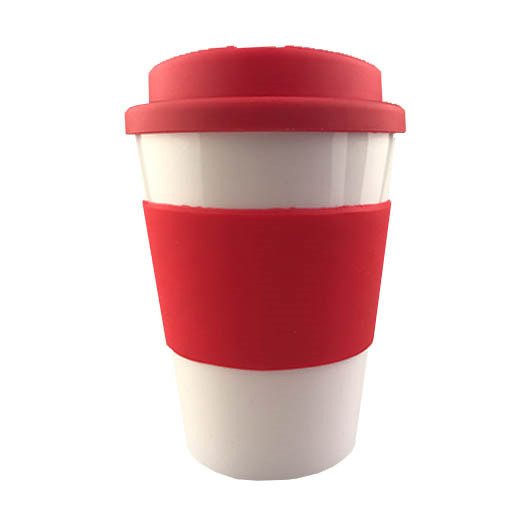 The cups are costed here with a silicone band included (and printed on) available in colours: Black, White, Red, Navy Blue, Orange, Green or Pink. 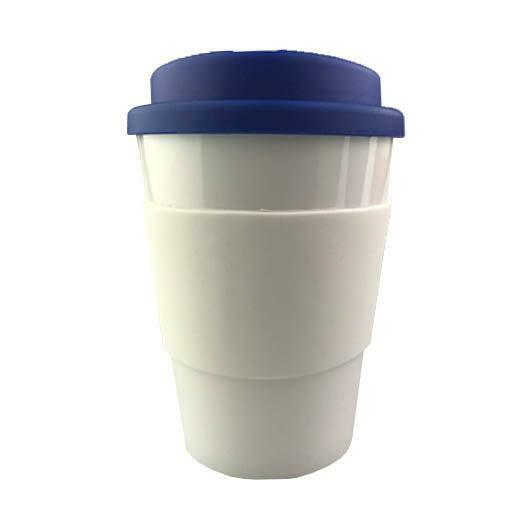 You can also purchase these cups with a direct print on the cup or a rotary print.